We are pleased to share that Legend Interiors has obtained “2nd Grade Curtain Wall License” for Mainland China, which allows us to undertake façade projects with size below 8000 sqm. This accolade was awarded by the Ministry of Housing and Urban-Rural Development of the People’s Republic of China (MOHURD). 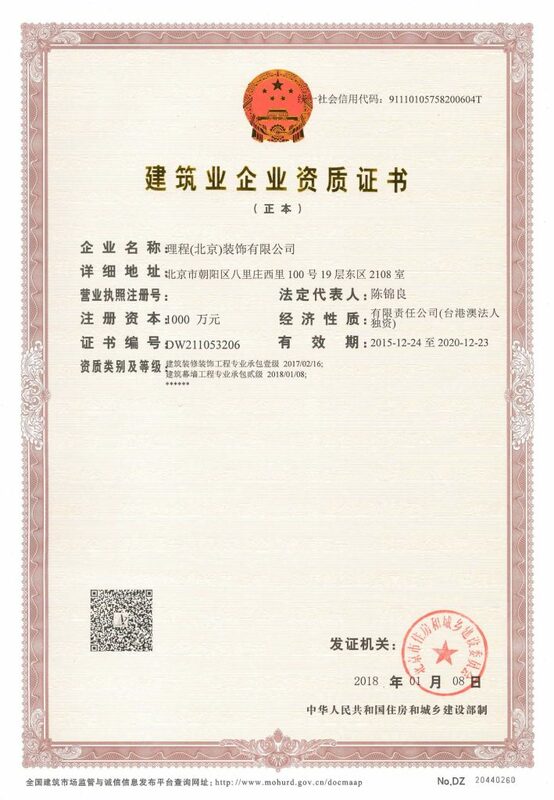 Following Legend’s recent milestone last year of attaining the Grade I Construction License, this new license serves to reinforce Legend’s commitment to high quality standards in construction. Being specialists in the field of interior architecture and fit-out, and now an accredited façade builder, we are now able to take on a larger scope to be an all-round solution provider to our clients. This extends towards retail, hospitality, commercial and residential projects.